There have been many advances at simulating cells with computers, but translating complex biological systems into a digital logic is tricky. Any computer engineer will tell you that transistors operate on a binary system of 0s and 1s, or off-state and on-state. Cells, on the other hand, can exist within an infinite number of states. For example, in drug pharmacology, an agonist is a drug that can bind to a given receptor and activate it; a simple on/off binary system. But, a partial agonist is a drug that will bind to a receptor and only have partial efficacy, giving a response that is lower that a full agonist. Then there are cases of u-shaped pharmacology, where the dose-response is not a linear function, but instead u-shaped, in that the more drugs you add to the system, the worse the response. A change from 0 to 1in a transistor correspond to a change in voltages, but like a car that starts at rest and accelerates to top speed, it samples each speed (or state) in between. In a transistor, the chip will ignore the in-between states. A team at the Massachusetts Institute of Technology has been using these transitional states in developing analog computing that can be used to model cellular systems. How does this work? The team at MIT grouped with researchers from Dartmouth College and developed a new compiler for an analog computing system. A compiler is a computer program that translates the source signal into a computer language that can be interpreted. The compiler in question takes as input differential equations, derived by biologists to explain complex cell dynamics, and translates them into voltages and currents. Differential equations are equations that include both a mathematical function(s) and its derivatives. The equations for cell dynamics often involve chemical kinetics, where reaction rates are dependent on initial concentrations of substrates and the speed at which enzymes will operate on them. In biology, cells tend to be homeostatic, a state of relatively stable equilibrium that is maintained by physiological processes. The researchers mimic this by acknowledging that all of the voltages and currents across an analog circuit need to balance out. Since the voltages and currents encode variables with a set of differential equations, varying once will inevitably change the others. This can occur over a time course and the full set of equations can be solved for any given point. Digital circuits slice time into small segments, millionths of a second, and solve the programmed equation at each interval. The data from a digital circuit is non-contiguous. In their paper, the researchers describe how the compiler includes an algebraic engine that it uses to describe a set of differential equations and will begin mapping equations to circuit elements. If the mapping process gets hung-up, the compiler will backtrack and find a new mapping. In most cases, the system managed to produce maps within 14-40 seconds, suggesting that the compiler is not going down blind-alley hypotheses. In one test, the compiler used four sets of differential equations and managed to produce an analog implementation that correlated with a biological system. In the most complicated system, the team used 75 different equations that took about an hour to compile. Inputting those equations by hand would have taken much longer. The team used benchmark equations from a selection of well-cited computational biology papers including Michaelis-Menten kinetics, genetic toggle switches, and cell apoptosis pathways. This research highlights the use and expansion of analog computing as a potential new tool for neuromorphic and cytomorphic computations. This computational system could be used to further drug development cycles without increasing the cost. New drug candidates are already being developed by computer-aided design. Testing these compounds would require their synthesis and purification, which add to research and production costs. 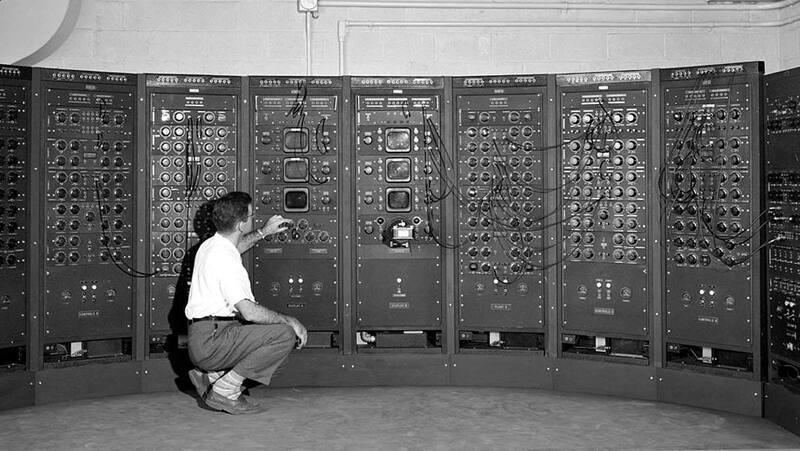 With analog computing, the compounds could be tested in silico.